Time to time, we all get random ideas and inspiration to make something creative and flaunt our creative skills… and when you like to do this, DIYs are the life saviour. Few otherwise, wasted things when arranged creatively together with your tastes and imaginations can create wonders. How about creating some real Useful DIY Products Which You can Make From Scratch? Excited? You surely must be. No joy can be compared to the joy we get by making something all by ourselves. Creating your own pfotoframe to attract eyeballs or making a classy canvas painting to stir up your drawing skills. Within just 20 minutes of complete dedication and open mind space of full-on creativity, you will have these Useful DIY Products Which You can Make From Scratch. In this DIY, you can take any two waste cold drink bottle and then cut it into two parts. Now take the zipper and you’ll have to stick it the downside of the bottle not on the upper one. Now keep the items inside and zip it tight. Or the cardboard tutorial is amazing and a must try too. Pick a cardboard box and wrap it up with paper napkin quickly to further add laces and colored symbols for attractive look and VOILA! Searching something to make and gift the someone special? 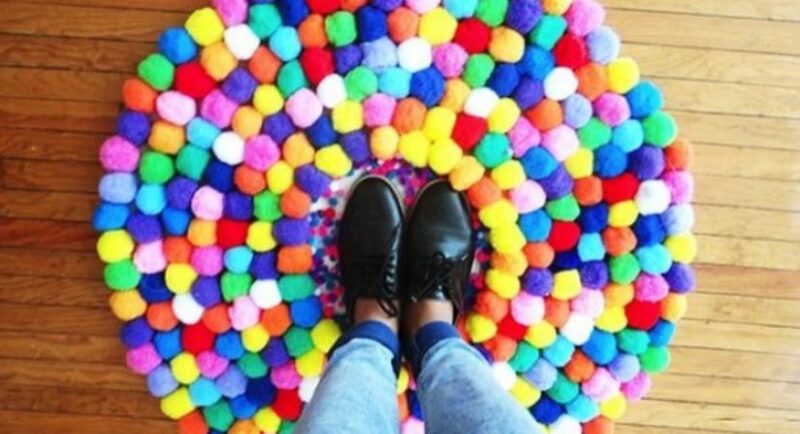 Here are easy yet mind blowing DIY keychain ideas. We all have different plastic bottles lying at home and throwing it away or burning it is definitely not a good option at all. Cut the upper side of the bottle so then you get the perfect square. Now poke 4 holes and pass a thread through it so you can hold it. Make sure to tape the side you have cut open or the sharp plastic may pierce your finger. If you have waste CD’s which you don’t play anymore, paint it in any colour of your liking and then doodle on it from the colour that is visible. Now pass a thread from the opening in between and tie them all together. You can now hang it anywhere you want. Just the way you didn’t know that such amazing use of old CDs, I am sure to leave you awestruck after you go through these horseshoe repurposing ideas and inspirations for sure. Take a pot, fill it with pebbles. Now take some stones which are not rough in textures- sandstones will be preferred. Now clean them and paint it in design just like the cactus. Place them in a pot and amaze your guests. Rock painting save your boring gardening fate! For those people who own a cat, you are going to love this. Take square sized wooden log with a smooth surface. Take the rope which is slightly rough. Now cover the log with the rope and tie it tightly. You can also colour it if you like and keep it near your cat’s sleeping place. This is the easiest one on this list and very cute. For this, you’ll need a ball small in shape. Cut in between so that it resembles a smile line, make sure not to separate in two. Stick some plastic eyes and your key holder is ready. This is really a great example of doing DIY from scratch. In this, you’ll have to take waste light bulbs, remove the mercury from inside and then fill it with soil and plant, tie the rope around it and hang it in your room or garden. 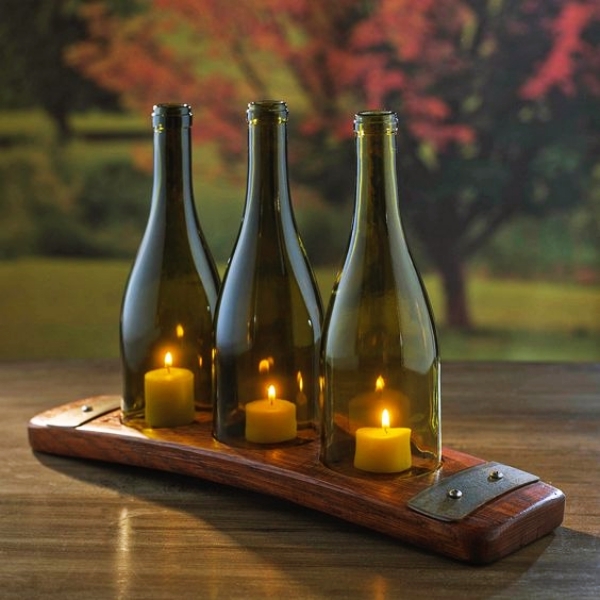 This one is very beautiful and if you don’t have wine bottles, you may want to purchase it after seeing this one. For this clean bottle without breaking and remove with the bottom of this bottle. Make sure that the part you have cut open is smooth and not sharp. 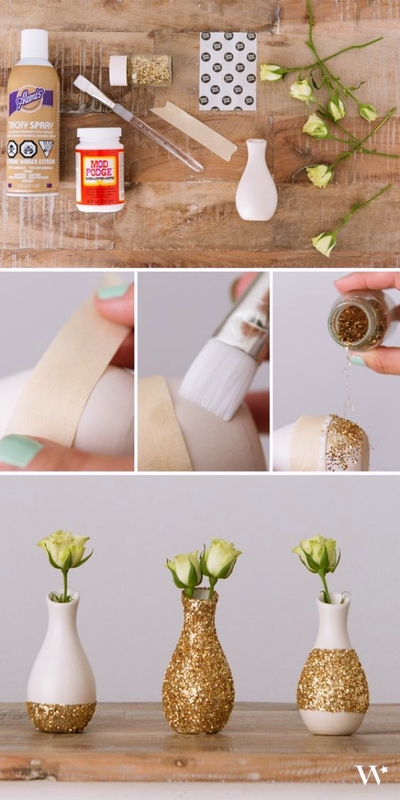 Now paint some designs on the bottle and light a candle and put the bottle on the candle. Remove the cork so the air reaches flame. Use these candle shades as the table centerpiece and make the decoration serene and calming. In order to renovate our homes, we remove boring looking lamps. 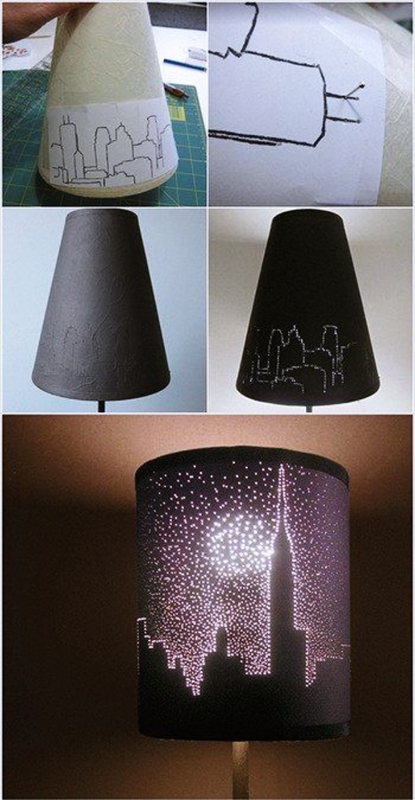 Poke some holes on your lamp shade and draw some interesting designs on it. After lighting, it’ll caste shade in your room. If you have yarn getting wasted, this is the best use. Take a medium sized balloon and tie yarn around it messily. Cover it with glue to make it hard. Now poke the balloon and remove it from inside, your ball is ready. These are our picks for Useful DIY Products Which You can Make From Scratch and we hope you have already made up your mind, on which one to try immediately! 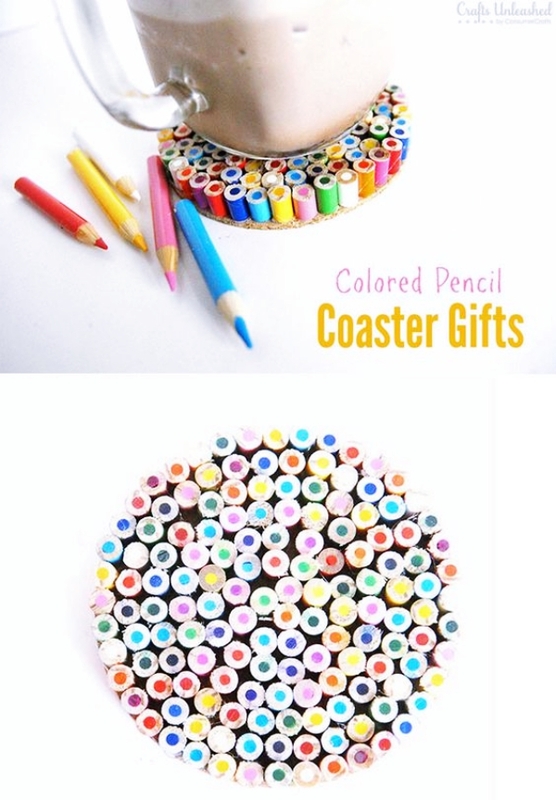 A few sharpie coffee mugs to transform your morning with a cute beginning is a no ignore!